Majestic Log cabin on the mighty Upper Wolf River. Sits on the banks of the river in prime fishing, rafting and kayaking area. 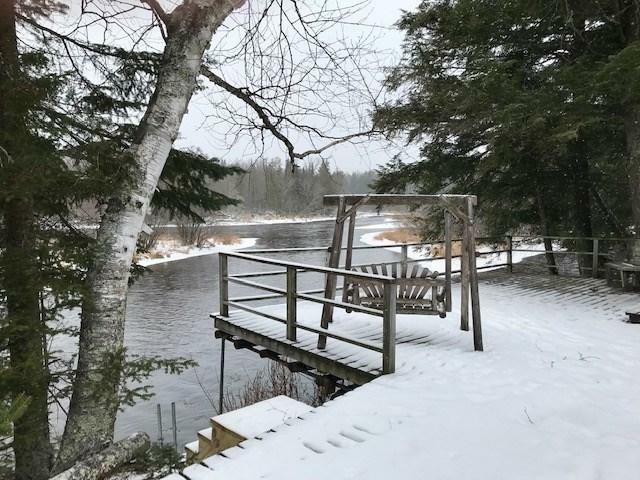 This well appointed home with spacious great room overlooking river with field stone fireplace. 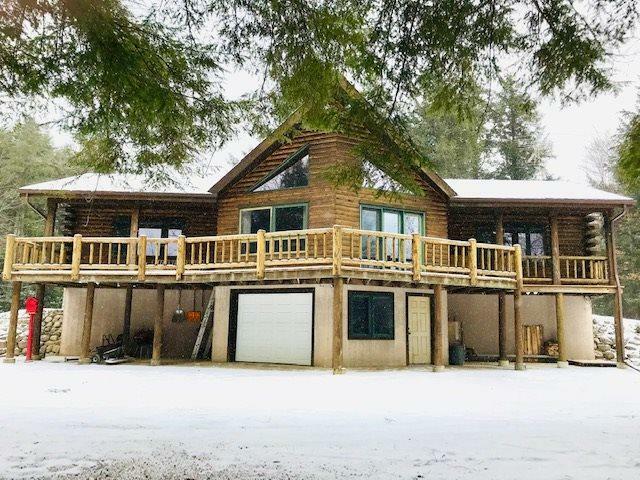 4 bedrooms and 3 baths sitting on 1.33 acres. Additional 1/3 ownership in 58 acres which borders state land to the north. 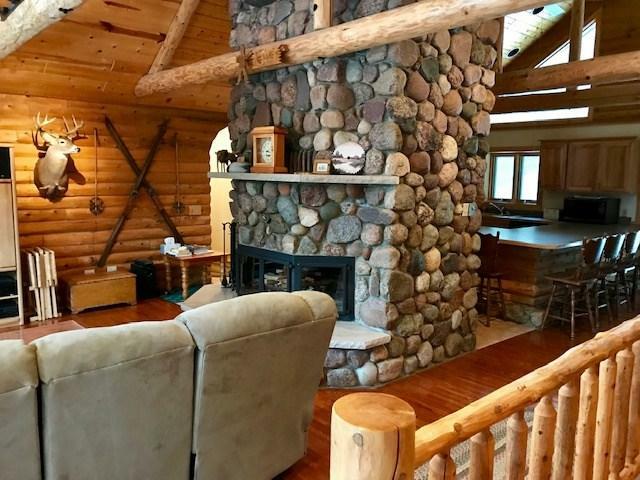 Also highlights a rustic log cabin that is steps from the river and has a glorious screen porch and fireplace. Rare treasure with many highlights. Very near Wolf River State Trail and many other outdoor pursuits. Zoned AFR.